Despite a devastating injury to one of its star players, the Boys Basketball team picked up a win over Glenbrook South on Feb. 1 by a score of 57-45. 6’9” senior Ciaran Brayboy, a Harvard commit, suffered a concussion and had to get 10 stitches after falling head-first onto the court in the third quarter. 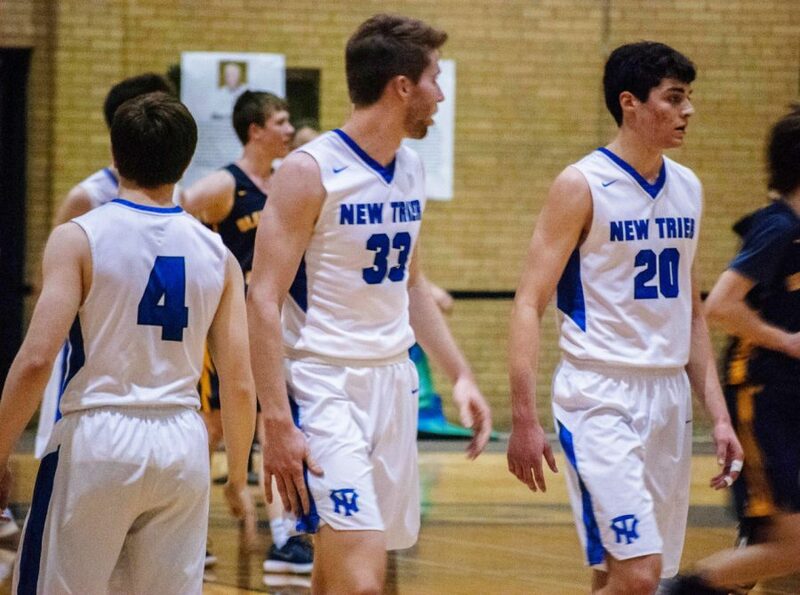 With their star center out, the rest of the Trevians – specifically seniors Noah Osher, Chuck Sweat, and fellow big man Spencer Boehm – picked up the slack, leading the team to a decisive CSL South victory. “I think we have a lot of weapons on the court as well as on the bench who are all really good at a few things which makes us deadly as a unit,” said Brayboy, whose CT scan revealed that he had no brain damage. The team, led by head coach Scott Fricke, has done a fine job turning weapons into wins. As of Jan. 23, the then-18-3 Trevians (they have won each of their three games since then) were ranked 10th in the Chicago area by Michael O’Brien of the Chicago Sun-Times and eighth by Mike Clark of the Tribune. Also among the leading scorers was Boehm, a three-year starter at 6’8” who will be joining Washington University’s team next winter, with 13. Sweat had nine off the bench, doing a job that he has done well all season. New Trier shot well in what was a chippy contest on Friday, including Brayboy’s injury. Per Winnetka Current sports editor Michael Wojtychiw, Titans head coach Phil Ralston demanded it. “New Trier should expect games to be this physical from here on out. As long as I’m head coach,” he said. This works well for the Trevians, who feature two giants in their lineup and pride themselves in aggressiveness, especially on the defensive end, as Osher explained. Although he wasn’t among the top scorers against GBS, the 6’5” Silverstein has been a force on both ends this year, using his speed to slash to the basket with ease. He was named to the all-tournament second team at the Pontiac Holiday tournament, at which New Trier finished fifth. 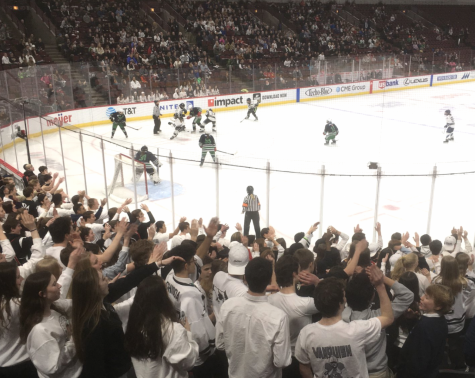 One week from tonight, New Trier will get another shot at one of the three bumps in the 2018-19 road, and the only CSL South team ranked ahead of them by both the Sun Times and the Tribune. The Evanston Wildkits defeated New Trier 54-46 on Jan. 11, forcing 19 turnovers in the process. In addition to a well-timed run for the Wildkits in the third quarter, Sweat also recognized that turnovers were the source of NT’s demise that night. 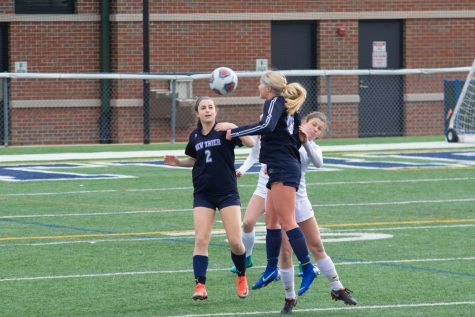 Evanston is a talented team with a diverse cachet of offensive weapons, and like New Trier, they have serious aspirations for a long postseason run. Last season, in fact, they were the ones to eliminate the Trevians. After a close loss last time, NT is confident that they’ll fare better with a second chance.